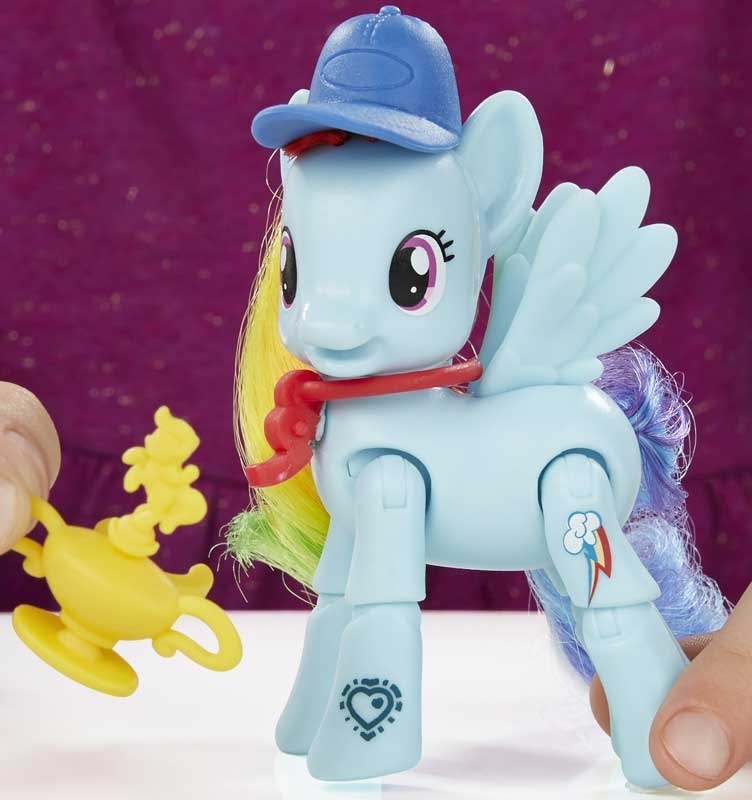 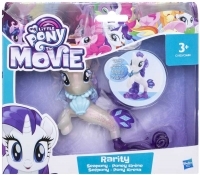 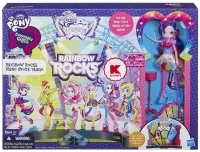 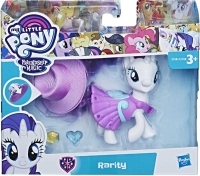 MY LITTLE PONY EXPLORE EQUESTRIA ACTION PACK - Get ready to play with your favourite pony friends in motion with these poseable action pony figures! 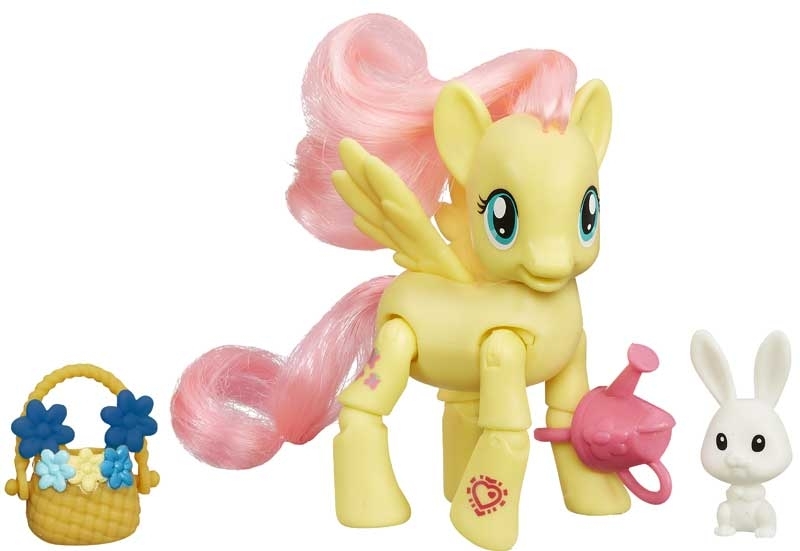 Applejack pony goes applebucking Fluttershy pony goes flower picking and Rainbow Dash pony shows off her winning kick. 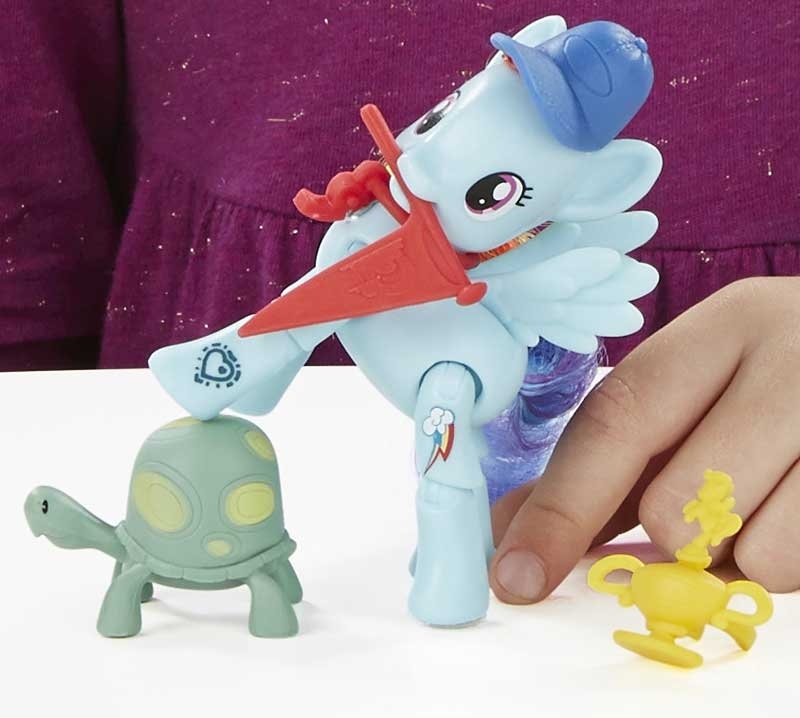 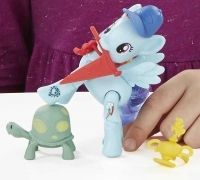 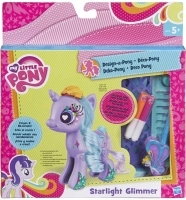 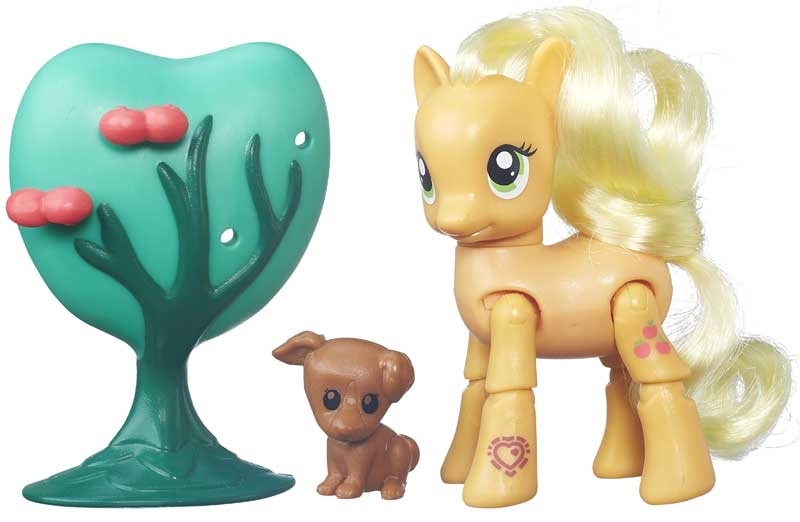 Each 3-inch pony comes with colourful accessories. 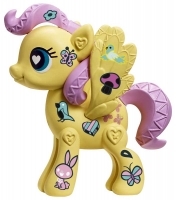 Scan your pony?s code to unlock more fun in the My Little Pony app!